The doshas could be vitiated also due to heavy physical exercises and too much exposure to heat immediately after taking eatables. Use of fresh grains, fish could vitiate doshas. sleeping during day though suffering from indigestion. committing several other kinds of sinful acts. one from the combination of all the three together. Quick formation of ulcers and their sustained presence. There is a sustained roughness of skin. skin resembling the scales of a fish. The symptoms of Vaipadika kustha are noticed in form of cracking hands and feet and formation of painful fissures. Raised patches studded with small, itching and reddish papules are the features of Dadrumandala kustha. 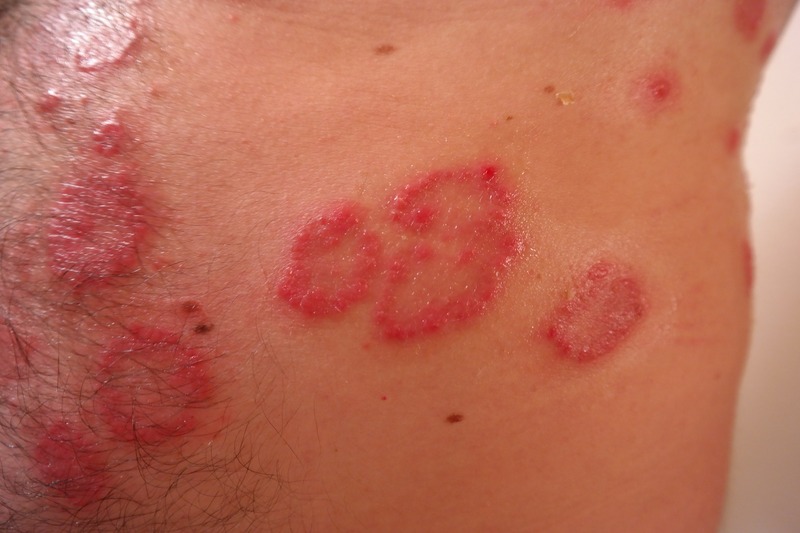 The boils on the skin, appearance of black or blackish red patches on the skin and thinness of skin are the symptoms of Visphota. Symptoms of Vicharchika are itching, black colour , and copious exudation. Exudation from the morbid patches on skin. Kakana is generated by all the three doshas together. Leucoderma (svitra) and leucoderma with pinkish tinge (kilasa) are generated by the causes that are instrumental also in producing leprosy (kustha); They are non exudative and tridoshaja in origin. Involvement of blood (rakta), muscles (mamsa) and fat (medas) cause various types of colors and pain. the one that has not been generated as an effect of burns. Common use of clothing, garlands, unguents and the like. Thus concludes the chapter on Kustha.